Men's Travel bag - Discover online a large selection of Travel bags - Fast delivery with Spartoo Europe ! Our site is specialised in the world of shoes and bags and has a large choice of accessories available, including travel bags. They are lightweight and allow you to carry all your things you'll need during your trip. 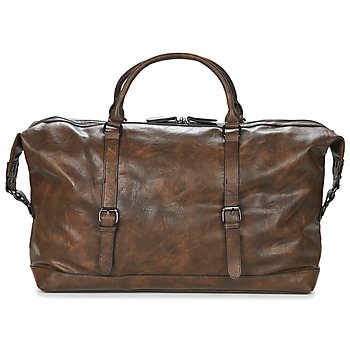 And to make it even more practical, you can get a men's travel bag with a removable shoulder strap. 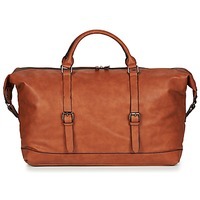 Are you looking for the perfect bag for your weekend trips out of town? Have a look at travel bags, suitcases or rucksacks. These items will certainly meet your needs depending on the length of your trip and the amount of things you want to take with you. Spartoo.co.uk works with brands like David Jones, Eastpak and Samsonite. These big names have a wide selection of travel bags that will meet your needs. Get free delivery as well as discounts on men's bags !